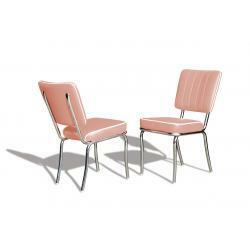 Create the ultimate fifties look in your home, restaurant or American diner with the retro chairs van Jolina Products. 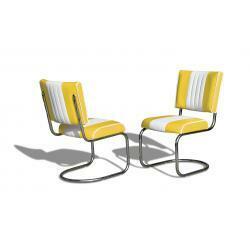 The chairs are famous for their bright colours, eye-catching white stripes and chrome details. Choose one of the eight different colours and easily combine them with the other eyecatchers in our range of retro furniture. 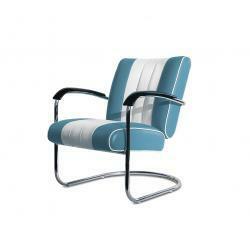 With the chrome finish on the armrests and the base, we’ve given this chair a true fifties look. And at Jolina, you can put it together just the way you want. 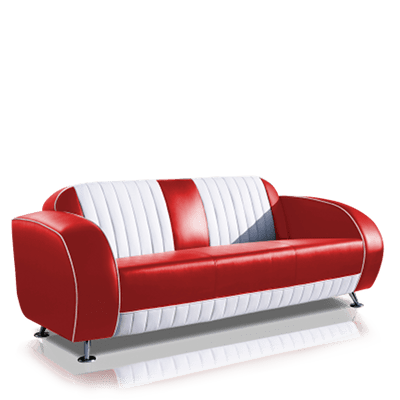 For example, you could choose a solid-colour lounge chair for a chic look, or an eye-catching, colourful armchair finished with a white stripe. 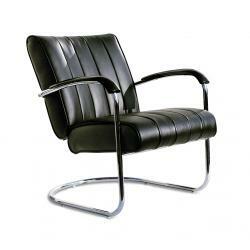 Our retro chairs don’t just look stylish, they are also extremely comfortable to sit in. We produce our furniture in our own factory, so that we can always guarantee the best quality. And the best price, too! Our Bel Air chairs are of such high quality that they are excellent choices for your home or business. Your guests will enjoy their American hamburger or chicken wings more than ever as they comfortably sit in a fifties chair. 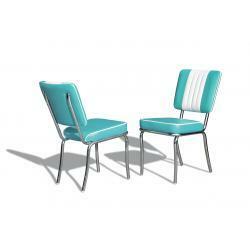 With the chairs’ fifties look, you’ll make your customers think that they’ve gone back to the fifties for a spell. 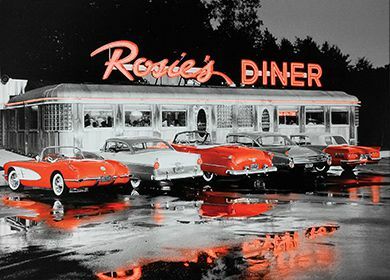 Add some rock ‘n roll and waitresses in retro outfits and your American diner is complete! All our guests are surprised at our retro interior when they step into our restaurant. They feel like they’ve stepped into the décor of an American fifties movie. Which is exactly what we’re aiming for! Complete your fifties interior by combining the chairs with our other retro furniture. Put them around a true fifties table, for example, to achieve the real American look. Then set up the rest of the room with our matching bar stools, sofas and booths, and you’ll have an interior that looks like it came straight from an American fifties movie. All furniture is available in eight different colours, making it easy to combine different items in your interior. You can buy our retro furniture in more than 60 locations in Europe. Looking for the nearest outlet? Enter your address below to find the Jolina Products dealer in your area. We work together with resellers across the whole of Europe to sell our retro furniture. Are you a store or web shop owner? 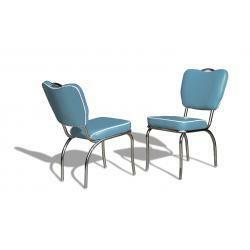 Then you can offer your customers a unique fifties experience by expanding your range with our retro chairs. With our upgraded drop shipment service, becoming a reseller is even easier! Contact us for more information. If you have any questions about the purchasing of retro chairs, please do not hesitate to contact our customer service or download the brochure .